When you're looking to buy a home in Cypress Tx, look no further than RE/MAX Preferred Homes. We've been selling homes in Cypress Tx since 1993 and are located in the Fairfield Village Shopping Center. We are Fairfield's ONLY RE/MAX real estate office. Buying a home can be challenging and The Mike Schroeder Team at RE/MAX Preferred Homes is here to walk you through the entire buying and/or selling process. Buyers want to be informed of new listings that come on the market that fit their criteria and sellers want their home the marketed in the most effective manor. That's what we are here to do at RE/MAX Preferred Homes. We have a Team of educated and dedicated real estate agents that treat their customers like they want to be treated....with honesty, courtesy and integrity. They strive to ensure that the buying and selling process is fully explained and that our customers are 100% satisfied. Both buying and selling a home can be intimidating but RE/MAX Preferred Homes is here to ease those fears. The Mike Schroeder Team of RE/MAX Preferred Homes consists of Owners Mike and Pam Schroeder, Rhonda Strain, Dee Jagers, Melanie Broughton-Cooper, and Alex Handley. With a wealth of real estate experience, we can help you. FAIRFIELD is a 3,200 acre development by Friendswood Development Company which opened in 1988. When complete, FAIRFIELD will be home to 5,800 families. FAIRIFIELD is one of the premiere master-planned community in Cypress, Texas. If you are looking for a family oriented community, this is the neighborhood for you. Whether you are looking to buy a home in FAIRFIELD or sell a home in FAIRFIELD, you need to call the neighborhood's best and only on-site real estate office. 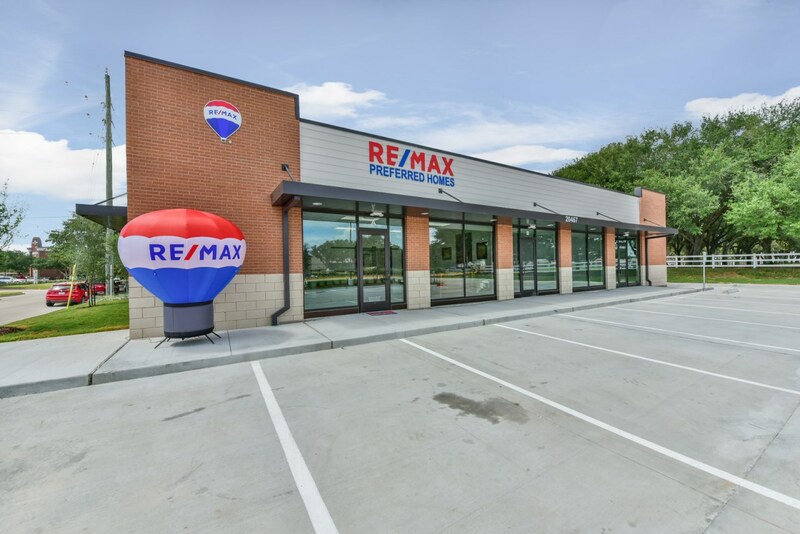 Established in 1993, RE/MAX Preferred Homes is conveniently located in the FAIRFIELD Village Shopping Center. RE/MAX Preferred Homes is dedicated to customer service and helping families buy and sell homes in this great master-planned community. FAIRFIELD is a family oriented neighborhood that boasts 6 neighborhood pools, an athletic center, many jogging trails and bike paths. The two major reasons people move to FAIRFIELD is for the family atmosphere of the neighborhood and the award-winning schools including Ault Elementary, Keith Elementary and Swenke Elementary as well as the newly constructed Salyards Middle School. FAIRFIELD'S 15,000 square foot athletic club includes a full-size basketball court, fitness center, special events room, and classroom areas. Outside the center is a competition-sized swimming pool, tennis courts, and a 20-acre sports park with baseball and soccer fields. Currently, FAIRFIELD has eight lakes, six neighborhood parks and six neighborhood pools, plus numerous pocket parks and greenbelts winding through the community. There are hospitals in close proximity to FAIRFIELD as well and numerous health care facilities. Restaurants also abound in the area and include the award winning Alicia's Mexican Grille, Sergio's Mexican Food, and Gambino's Pizza. Great chain restaurants are also in close proximity to FAIRFIELD and they include Chili's, Chic-Fil-A, . Restaurants located within FAIRFIELD include Gambino's Pizza, Las Mananitas, Subway, Pei Wei, Whataburger, Chick-Fil-A and Chipotle. Cypress is a suburb of Northwest Houston conveniently located primarily off of the Highway 290 corridor. Commerce, schools and shopping are all moving out to the Cypress area and include the Houston Premium Outlet Mall which attracts shoppers to Cypress Tx from around the world , great Cypress Fairbanks schools, medical facilities and many restaurants. . The recently completed Northwest Medical Facility is located in Cypress Tx so buyers and sellers will have first class medical care right in their own community. At RE/MAX Preferred Homes, we believe in giving back to the community. For each home that we sell, we will make a donation in our customer's name to the Texas Children's Hospital. We are a miracle office.